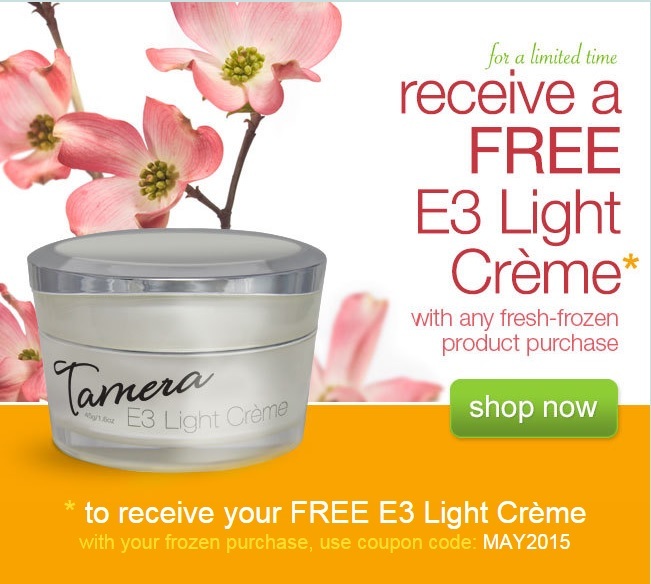 During May when you purchase your favorite fresh-frozen E3Live superfood you can receive a FREE E3 Light Crème (a $44.75 retail value). Just use coupon MAY2015 during checkout on http://www.e3live.com to receive your free gift. 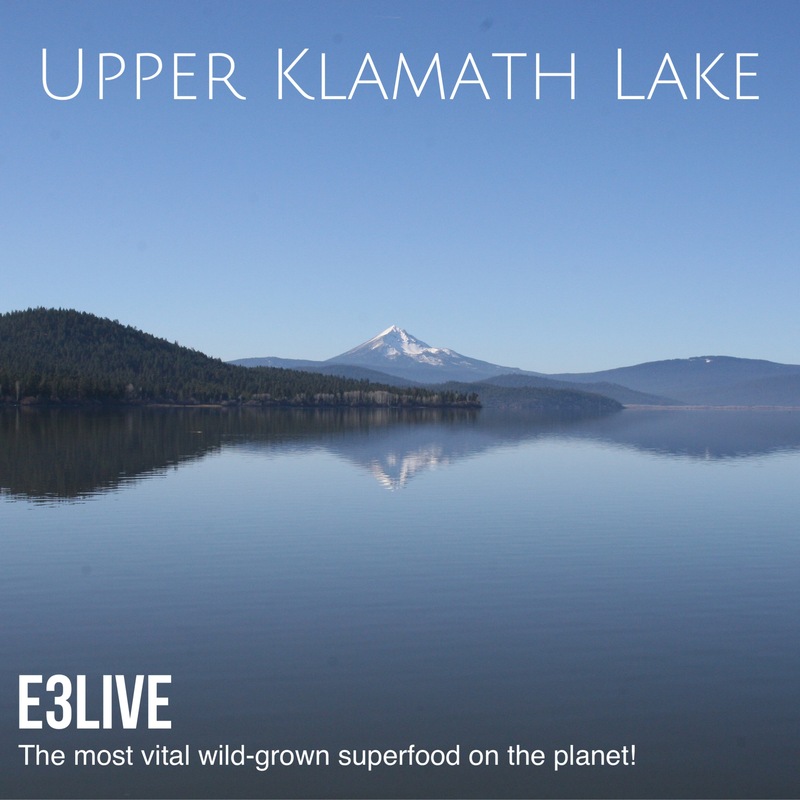 Drinking E3Live may help your skin, hair and nails “get the glow” by providing over 65 vitamins, minerals, essential fatty acids and amino acids. It can help you to nourish your skin from the inside out! Tamera Campbell CEO/Founder of E3Live is passionate about not only what you put “in” your body, but also what you put “on” your body. She created the Tamera Skincare line with the finest natural ingredients including Organic E3AFA and other Organic Algaes – you will see and feel the difference with your very first use. Tamera Skincare is pure natural nourishment for healthy glowing skin!E3 Light Creme new & improved formula with Maracuja Oil, Argan Oil and Hyaluroic Acid. Plus more Algae extract to lift and tighten skin. This popular Paraben Free protective natural crème with organic ingredients also contains 100% organic orange oil, plus Vitamins A, C & E, making it the best anti-aging cream on the planet. Use for Cellular Enlightenment, and Age Reversal & Rejuvenation. Try it for FREE with any frozen purchase in May – visit http://www.e3live.com to order.